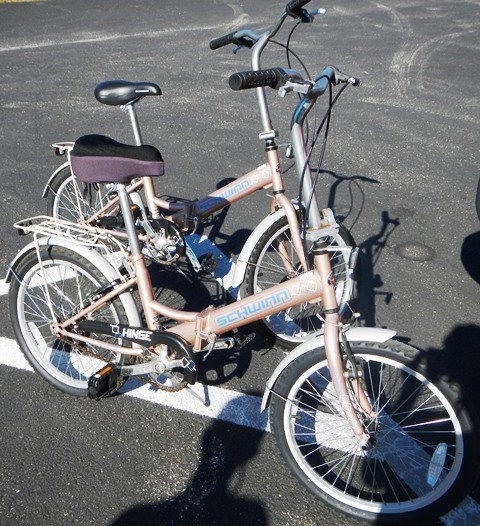 This Schwinn Hinge single-speed, 20-inch folding bicycle folds compactly for easy transport, weigh only 38 lbs, and is super easy to set up. 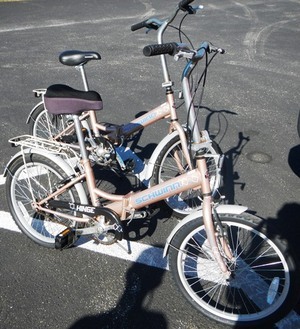 Perfect for vacationers looking to rent a beach-cruiser. 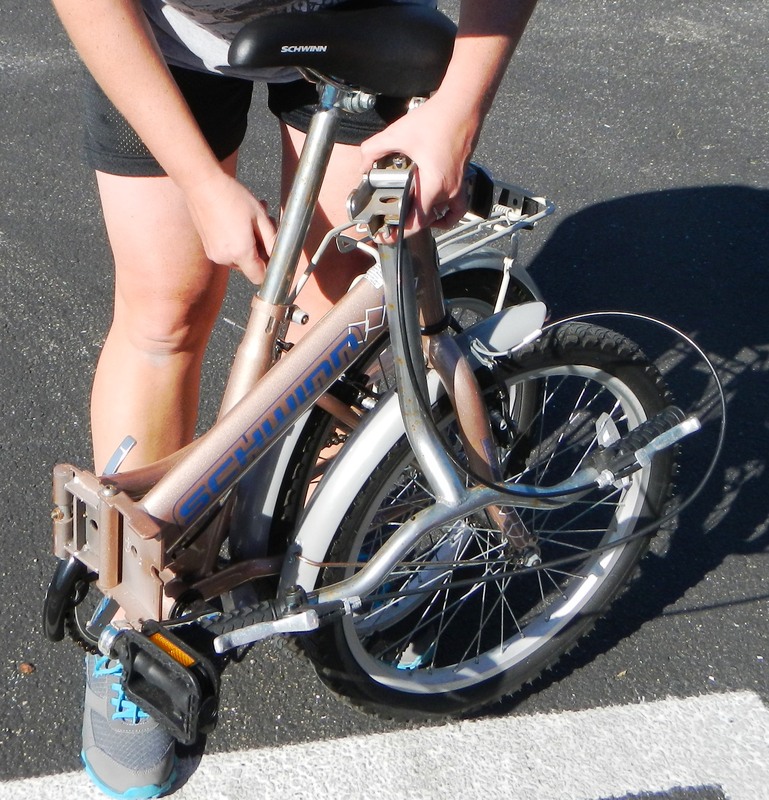 The Hinge is equipped with such features as a low stand-over frame, an ATB rigid fork, and alloy front and rear linear pull brakes, helping it perform as smoothly as any other commuter bike. It's also remarkably comfortable to ride, with an adjustable seat post and high handlebars. 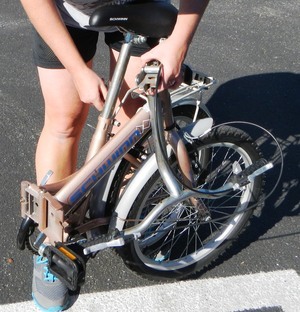 Riders will love the handy rear rack, which lets you lash a bag or other gear to the bike. Comes with locking chain. Bike has minor rust from being exposed to a beach environment. I have two of these bikes. To rent both, you must complete two separate requests. $100 security deposit applies to rental of one or both bicycles.